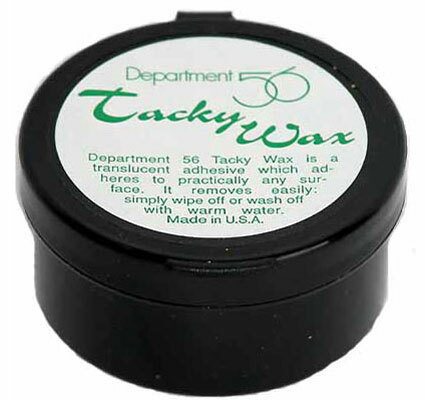 "Tacky wax is a translucent adhesive which adheres to practically any surface. It removes easily with warm water. 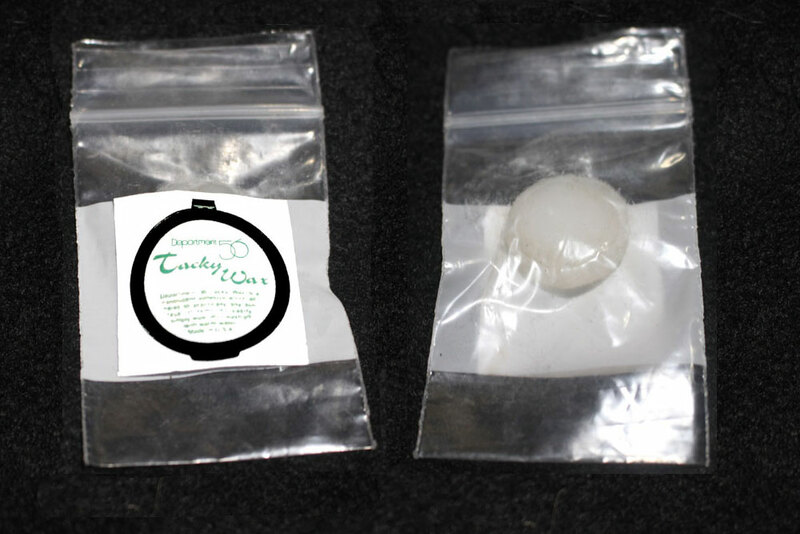 Made in USA"
A full tub can last a lifetime, so if you don't need that much, you can order this smaller bag of wax. It's a penny sized ball of wax - about an eigth of an oz. in a resealable bag. This is what we use to adhere our metal bit halves to the horse's mouth. 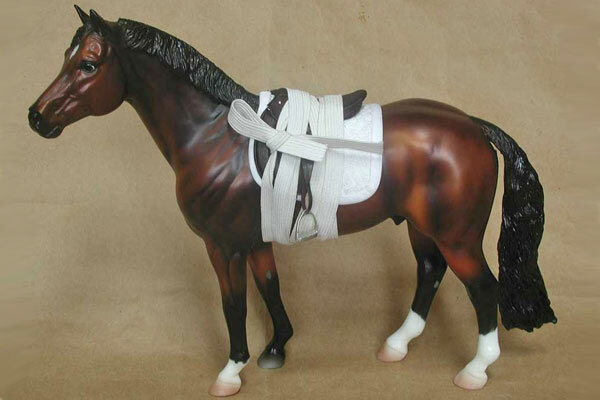 Wax is also useful to hold reins in position, and to make stirrup leathers and other straps lie flat. It can also be used to hold reins in a doll's hands and keep them from falling out. It wipes off easily and does not harm your model's paint. It is actually good for the leather of your tack. A must-have for the model performance shower. Can be 1/4" to 3/4" wide, elastic waist band material, and should be 28" to 26" long. Use it to compress leather saddlery tightly to your model just before showing to give it a more realistic, natural "drape" and to minimize some of the "scaling effect" of the materials. Click here for complete instructions for banding a saddle. If you would like more information on how to band a saddle and what kind of saddles this can be done to, see my "How to Band A Saddle" page.